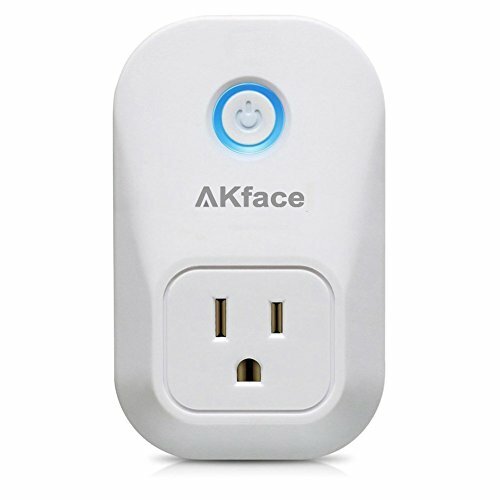 The Akface Smart Wi-Fi Plug is a device that can turn all of your home's 'dumb' products into smart ones. Think about it - you could turn grandma's old lamp and TV set into a 'smart' one without buying a new lamp or TV! Akface aslo has added support for Google Assistant as well as Amazon Alexa, so you can control your 'dumb' devices with your voice. You can schedule various events on the tuya smart app, schedule fixed timings for the devices plugged into the smart plug, Setting a custom schedule is easy, giving you the ability to start up a particular device at a specific time. It can turn off your fan half an hour before you wake up so the temperature is just right. There's also an Away Mode, that turns on your lights for you when you're outside so people on the outside can't tell you aren't at home. This is especially useful for when you're on a trip but want it to appear as if you're home.